Waargebeurd verhaal: meisje van 12 gaat voor het eerst naar de middelbare school. Ze krijgt verkeerde vrienden. This book was on my wish list for a long time. I have read about this story in Cruel Sacrifice by Aphrodite Jones, but I released that book and always wanted to read this author's view of the story. 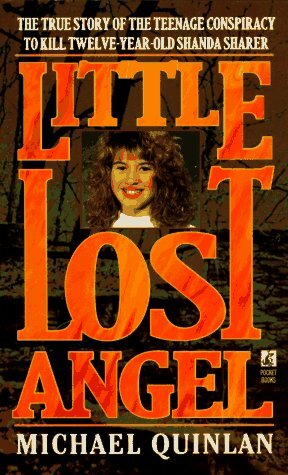 I was (as I have been for years now) looking for a copy of Cruel Sacrifice the book I had read and given away many years ago and then came on a review where someone was talking about Little Lost Angel. It rang a bell so I checked my GR shelf to find I still had to read this one. Anyway I have grabbed the book from the bookcase and am planning to read soon! Update March 24 2016. reading now. Wow Now I understand why Cruel Sacrifices had such an impact on me (I just ordered another copy through abebooks.co.uk ) and now I must have that book too again. Even grown serial killers were not that cruel. OMG. This is a well written book with some repetitions but that is quite normal given the case and the players in it. Can't wait to get my copy of Cruel Sacrifice the other book about this case. There are some authors who can write a bad book about a very thrilling case ( Suzy cough Spencer cough comes to mind but thankfully this author did write a good book.